Historically, some companies haven’t looked kindly upon inbound “deep links,” or links to pages on their site that aren’t the homepage or another top-level page. Some have felt that deep links cause visitors to bypass the site’s main advertising or branding page. Others have felt that visitors are more likely to interpret the linked page as part of the website that linked to it. If you are serious about optimizing your website, you likely know that inbound links can boost the site’s search engine rankings. The more high-authority sites that link your way, the higher your site will appear in search results pages (SERPs). Well, your rankings can improve even more dramatically if other sites are linking to a variety of your site’s pages, not just the home page. This indicates to the search engines that the content throughout your site is worthwhile. Google and other search engines will reward you by improving your standing in the SERPs. Also, having deep links implies you are getting links the natural way (editorial links) as opposed to paying for them. A fair amount of the paid link services will only perform link building to your site’s homepage. 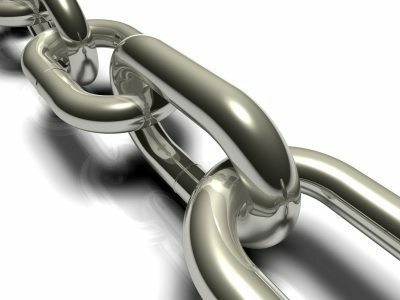 If deep links can increase your search engine rankings, it’s pretty much a given they can increase your site’s traffic. The higher your site appears in search engine results, the more people who will know about your site, and the more people who will visit it. Those who find the site through a deep link are more likely to return to the site than those who find the site through a generic homepage link. That’s because a deep link, being more targeted, is a more likely to give people what they want. If a blog mentions the new type of organic dog treat your online grocery store sells, for example, you’re probably better served by a link directly to a page featuring that product than the store’s homepage. If the visit easily fulfills its purpose, people are more likely to return to the site. If more of your site’s pages get inbound links, then more of your site’s pages will get indexed by search engines. If more of your pages are indexed, more of them will be crawled during Internet searches. That opens up many keyword opportunities for your site. Instead of trying to cram all of your site’s keywords into your homepage, or another main page, you can target different keyword groups on different pages. Going back to the online grocery store example, your main keywords for a page about organic dog treats might be “organic dog treats,” “buy organic dog treats,” “organic dog treats sale,” “organic puppy treats” and so on. Ideally for each different product page you have different target keywords. Many company sites now maintain blogs as a way to engage and interact with readers and increase site traffic. Unfortunately, many of the older blog entries get buried within the site and are never read again. You can revive these old posts by linking to them in your new blog posts. Anytime you’re blogging about something relevant to a past blog post, add a link. A reader might click on the link, read the old post, and link to it himself. Good posts can go viral weeks, months, or even years after they were originally written. Another good way to keep older posts alive is by posting a monthly summary of the previous month’s top posts, and linking to them. Without deep links, people may rarely get beyond your site’s homepage. That doesn’t mean your site doesn’t have good content, it just means that people don’t have an easy way of getting to it. With deep links, people have a fairly effortless way to reach your site’s various pages. Once you have a substantial number of deep links, and a resulting increase in site traffic, you can really start benefiting from a Web or keyword analytics tool. You can see which pages people visit the most and which pages people spend the most time on. This can help you determine which of your pages are most appealing to readers or customers, and which can be improved upon. 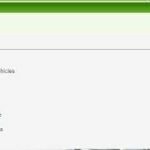 Determine which techniques attract visitors, and implement those on the appropriate pages. Larry Kim is the founder and VP of product development at WordStream, a provider of advanced SEO tools and pay-per-click advertising software for search engine marketing efforts. WordStream also offers a FREE keyword analyzer tool for conducting keyword research and discovering profitable head, mid- and long-tail keywords.